Order in the next 447 and get it tomorrow! 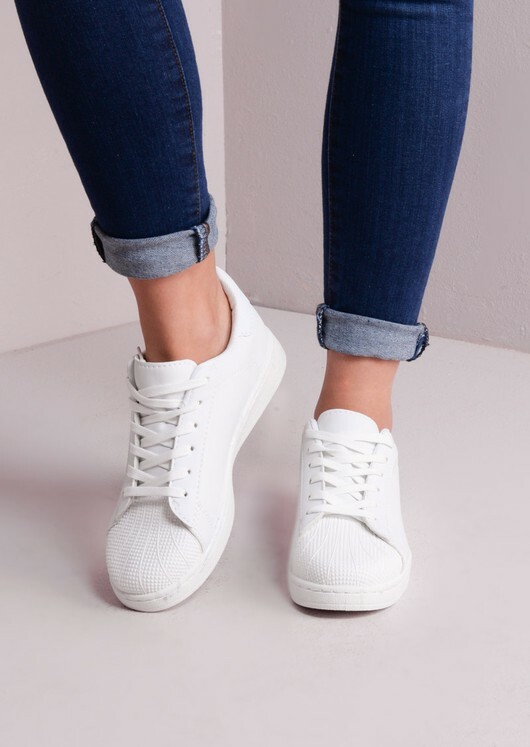 Add an urban edge to your day look with these totally on point white flatform shell toe trainers. 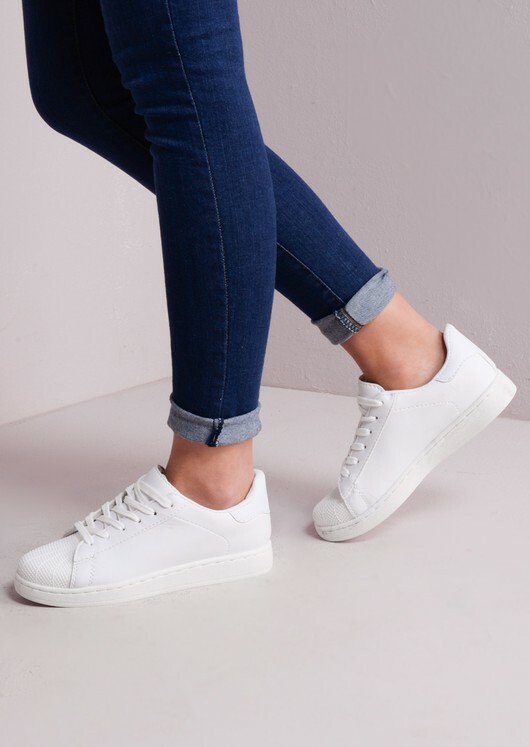 They feature a lace up front, thick sole, heel tab and cushioned inside. 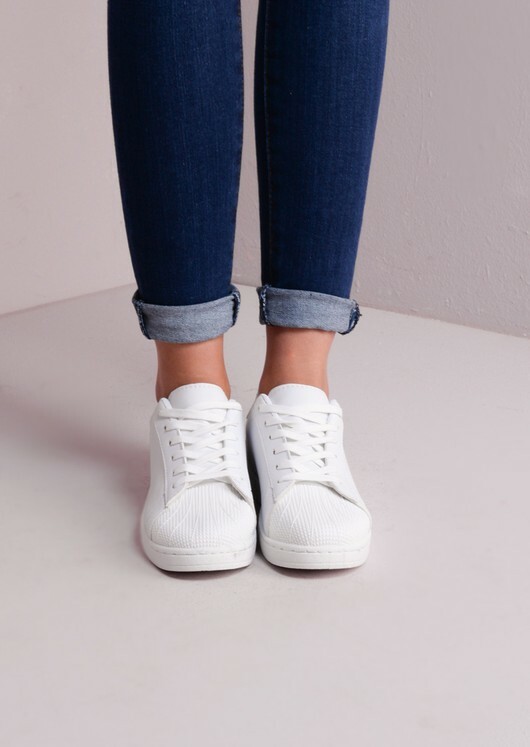 Style with jeans and a black crop top for a casual but chic day look.